The Library uses a reading list system called Aspire which gives you access to recommended resources, together with guidance notes from your lecturers. You can then check availability in the Library. Aspire also enables you to make private study notes for individual items as you work. Aspire integrates with Canvas. Once you have worked your way through this section, try to find one of your reading lists using the University of Sussex's Reading lists online. 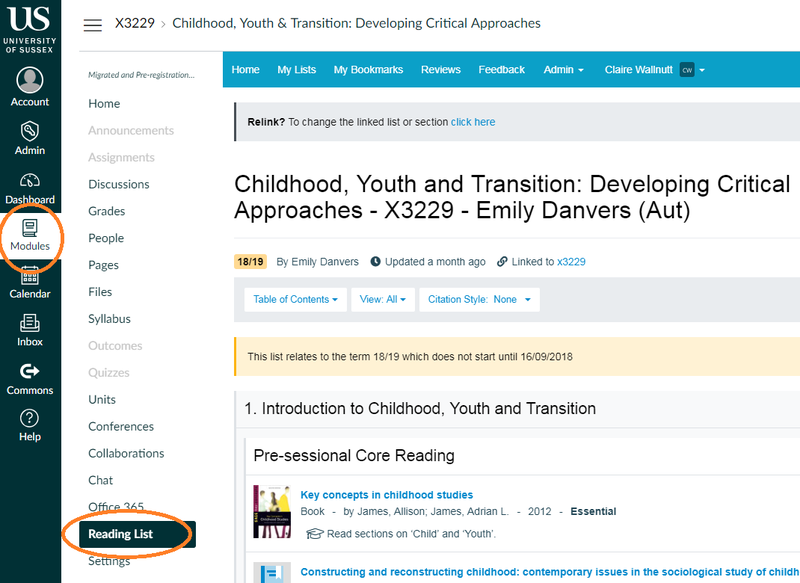 You can search for your reading lists by clicking on the 'Reading Lists' box on the library homepage (pictured above), and entering the course code (or the course name) in the search box. 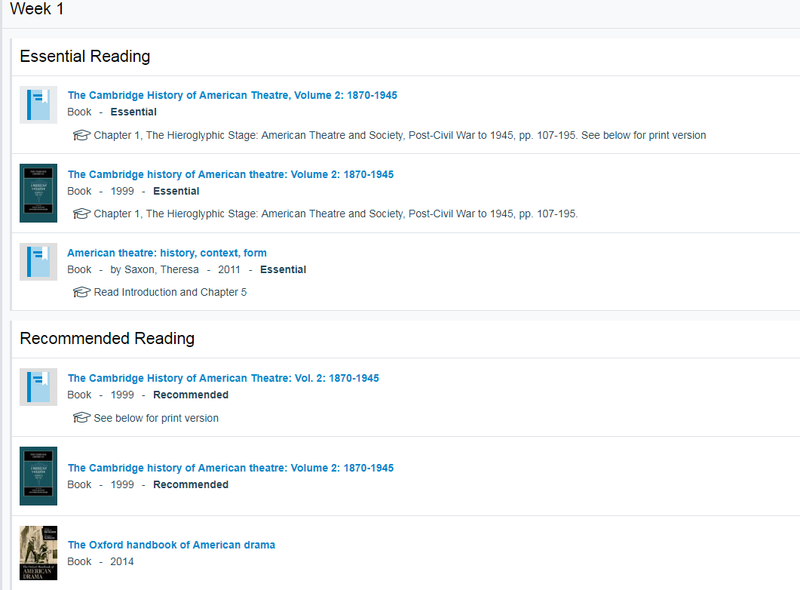 You can also find links to your reading lists in the Reading List section of your modules in Canvas. Your reading lists are likely to include references to books, journals and web pages. Books listed will usually be available in print in the library. They may also be available electronically, in which case it will say 'view online' under the title. Esssential reading: available for purchase or included in course packs or online (eBook, digitised text, online journal). Single copy held in the Library's Reference-only collection. Recommended reading: available in the Library in multiple copies or available online (eBook, digitised text, online journal). Your reading list may specify particular book chapters. If these chapters are available electronically, it will say 'DIGITISED chapter' on the list. Your lists are also likely to have references to journal articles. These are clearly marked as 'Article'.